Funny man Jon Stewart got serious on “The Daily Show” when he sat down with Al Gore to discuss the former vice president’s decision to sell Current TV to Al-Jazeera. Stewart took a break from the jokes and quizzed Gore about his choice, saying he thought the agreement was strange given that Gore is an environmental activist. Al-Jazeera has been criticized for having a pro-Islamist bent, and accused of working with members of Al Qaeda. One of its journalists was arrested in Israel in 2011 on suspicion of being an agent of the Palestinian group Hamas. Dave Marash, a former "Nightline" reporter who worked for Al-Jazeera in Washington, said he left the network in 2008 in part because he sensed an anti-American bias there. The network is subsidized by the ruling family of oil rich Qatar. 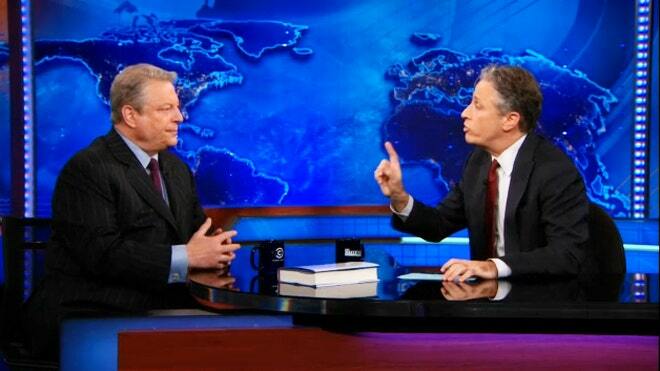 Gore won the Oscar in 2006 for his documentary film about global warming, "An Inconvenient Truth." Gore netted $100 million with his 20 percent stake in Current TV when it was sold for a reported $500 million.